So I joined last week and am a complete cooking newbie so I thought I would show you all my first ever attempt at baking. 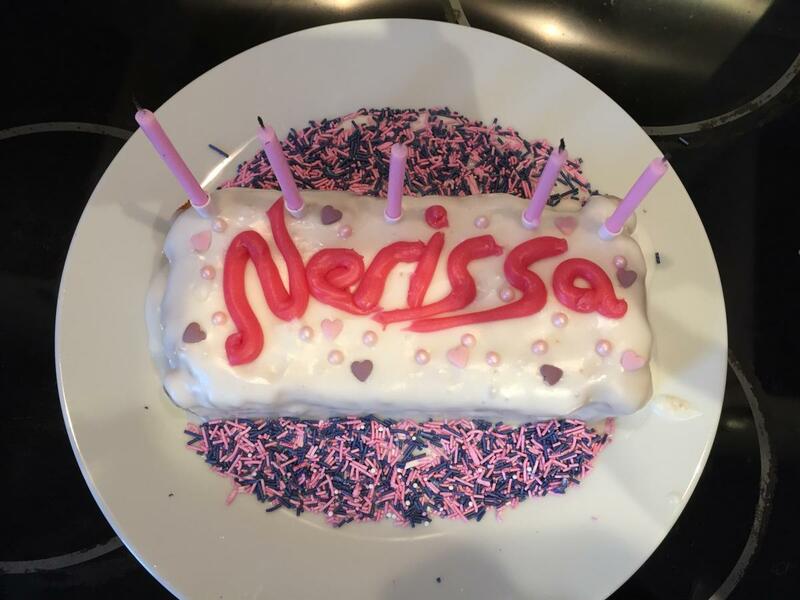 It was my girlfriend's birthday so I made her this cake. I am sure it must look like a dreadful mess but she loved it and it actually tasted! Does anyone know how to add a photo to a post? i tried but it didn't work! ok, i think I've worked it out! Finally! sorry about that and thanks to GA for the help. That is gorgeous! Well done, it exudes the love and care you put into it! Yeah, I was going to ask the flavour too.